enjoy poetry as she read poems, wrote poems and sold poems. Not just a pretty garden, it is famous for its strawberries and produce. In the awards Fay and Colin Burchell took out first prize for a new garden. And if you visit their garden you will see why. saw it in 2011 you will see many changes this year. of pots and rockeries to showcase her plants. She also tells me home-made compost is what makes her garden grow. the program which should be out by the end of the month. Wow! I have just visited the ‘Kandos Bellz’ on Facebook. It makes me want to take up belly dancing! They are such an enthusiastic and busy group. So glad we have been able to book them up for the Kandos Gardens Fair. They will do two performances on Saturday afternoon (9th November) one at Trisha’s Cheeky Garden in Rylstone (3pm) and the other at Margaret’s Terraced Garden in Kandos (1pm). I first saw Kandos Bellz during the Cementa Festival earlier this year, at Henbury Golf Club. Very professional – graceful, beautiful, sensual – a pleasure to watch. 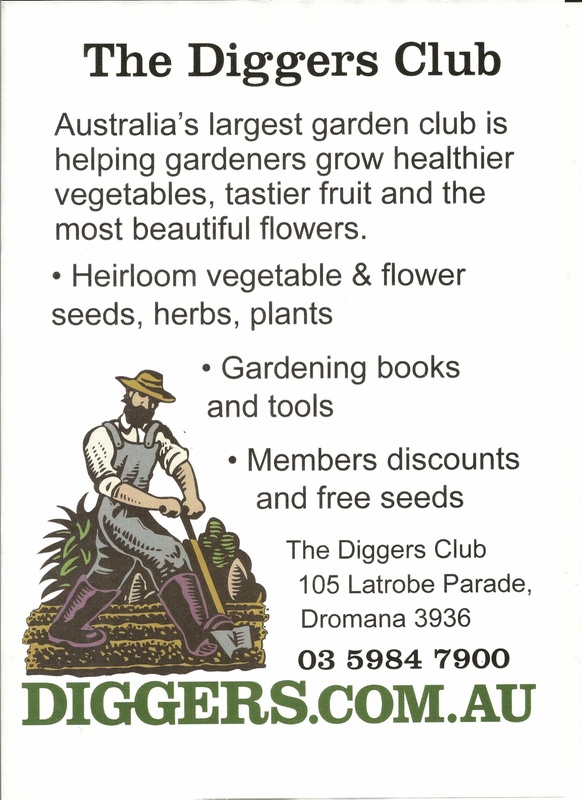 One of our repeat sponsors for the Kandos Gardens Fair is The Diggers Club. year they have donated a year’s membership to The Diggers Club. 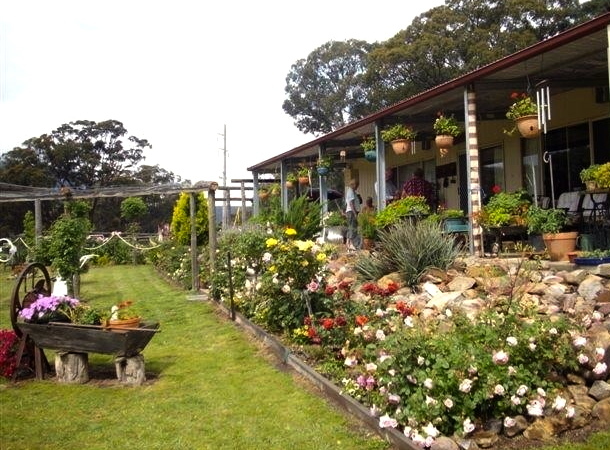 visit their garden shops and cafes at Heronswood and St Erth.